With seven major honours to his name at the tender age of 21, there is no doubt that Rami Rabia is one of Egypt’s brightest young defensive talents, but there is only one issue: the Egyptian is struggling since his move to the Portuguese capital to join Sporting Lisbon in the summer. It was a chilly night in Cairo on December 21 2010, the winter breeze was already filling the air, and the turn of seasons had been made official. What mattered more though, is that under the chilly atmosphere in Egypt’s capital, Al Ahly were due to host Haras El-Hodood in the Egyptian Premier League under the heated atmosphere of the Cairo Stadium. Despite being the dominant force in Egyptian football since 2004/05, the Reds were going through a period of doubt and deep thought. Not only had Hossam El-Badry, the coach who led the Cairo club to the 09/10 title, left the club following an ignominious defeat the hands of Ismaily at the Ismailia Stadium – arch-rivals Zamalek were looking to be cruising for the title; in short, Al Ahly could not afford to drop anymore points, or else they would almost be handing the title to Meet Okba after a six year absence. The additional problem is that at that time, Haras held a sort of purge over the Gezira-based club. Tarek El-Ashry’s men ousted the Red Castle to an Egypt Cup in 2010, and Egyptian Super Cup in 09/10, as well as eliminating them from the Cup in 08/09. All in all, the game itself was difficult, excruciatingly difficult. Flares and fanaticism, a purge, and team critically low on morale would suggest one thing for then interim coach and club legend Abdelaziz Abdelshafy ‘Zizo’: field the best players in order to get the result. However, Zizo being a very prominent director of the club’s youth system decided to field a 17-year-old donning the number 37 by the name of Rami Rabia. What was even more surprising, is unlike former youth products who failed to prove themselves, Rabia was excellent, showing combative nature from the start, and playing a sizable role in the Reds’ 2-1 victory. As they say: the rest was history. The main issue was that Rabia showed his mettle in spite of being in the same team as Egyptian behemoths such as Wael Gomaa, Ahmed El-Sayed, Ahmed Fathi, and Sayed Moawad. He was simply a David in the middle of many Goliaths, but nevertheless he was able to cement his place in the Red Castle’s squad. Despite Zizo’s departure, legendary coach Manuel Jose also highly regarded Rabia as a talent. The Portuguese gaffer, notoriously famous for his ‘sign all’ transfer strategy was actually convinced with his capabilities as a player at Al Ahly. It was that season that Rabia picked up his first piece of silverware, as Jose’s men – against all the odds – won the league, overcoming Zamalek’s seven point lead at the top. However, not everything was a smooth ride for the Al Ahly youth product. The Reds’ encounter against Wydad Casablanca in the 2011 CAF Champions League saw Rabia pick up an injury which kept him out of the U20 World Cup that year, a remarkable feat for a mere 17-year-old. Simply, the U20 team that year consisted of some of Egypt’s most renowned players today; Mohamed Salah, Rio Ave striker Ahmed Hassan ‘Koka’, Nacional man Saleh Gomaa, Zamalek trio Ahmed El-Shenawy, Mohamed Ibrahim, and Omar Gaber alongside Basel midfielder Mohamed El-Nenny amongst many others. That wasn’t the end of Rabia’s sorrows as he will be remembered for scoring a fortuitous own goal to knock Al Ahly out of the 2011 Egypt Cup against eventual champions ENPPI, before picking up a back injury which kept him out of action for six months. By the time of Rabia’s return, the Port Said disaster paralysed domestic football, Manuel Jose was gone, and Hossam El-Badry was now in charge. However, the youngster had already proved himself, and was able to play a role in the Red Devils’ miraculous 2012 Champions League triumph, in spite of no domestic football in the country. In fact, what made it more remarkable for Rabia is that he had to solely rely on friendly games to reach full fitness. One month later, and the now-U20 captain was donning the Red shirt in the Club World Cup where Al Ahly went on to finish fourth, and could’ve had a goal in the semi-final against eventual champions Corinthians, but his shot from distance went inches over the bar. For a defender, Rabia has an impressive record when it comes to decisive goals. In February 2013, he netted a goal against then-CAF Confederation Cup champions AC Leopards to open the scoring as Al Ahly went on to win the CAF Super Cup. Exactly one month later, he repeated his heroics, this time as captain of the U20 side led by Rabie Yassin in the 2013 African Championship in Algeria. Egypt needed a win to secure qualification to the World Cup, but had to do so in a packed Stade Omar Oucief Stadium against the hosts. The vitriol and passion often associated with games between Egypt and Algeria made it all the less likely that Yassin’s men were going to get anything out of the game in Ain Temouchent. However, the captain took control of things as he rose above the Algerian defence and put a header into the Fennecs’ net. Egypt were through to the semi-finals and consequently to the U-20 World Cup. It was almost as if Rabia was the holy spirit and the embodiment of Egyptian football immediately following Port Said; after all, Egypt went on to win that U20 Championship by defeating Ghana in the final (in which Rabia missed his penalty), and Al Ahly were champions of Africa. To some extent it mirrored the youngster’s story, who returned from injury after Port Said but played a sizable role in Al Ahly’s successes and the U-20 national team’s too, as he also picked up the second best player in the African championship behind fellow countryman Saleh Gomaa. Rabia’s performance at the U20 African Championship saw him being linked with several moves outside the country, namely a transfer to English giants Manchester United and Chelsea. The sheer thought of an Egyptian being linked to both clubs is a sign of a very special player. 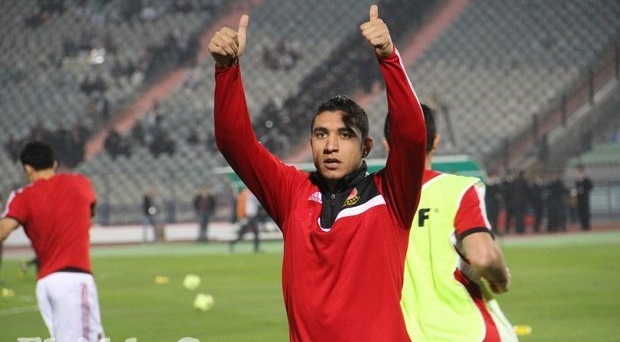 But once again, Rabia endured an injury in his side’s game against Smouha in the eventually-cancelled 2012/2013 Egyptian Premier League, thus missing the U20 World Cup in Turkey. It is arguable that missing the captain and de facto leader of the side was the Pharaohs’ main problem in a disastrous campaign which saw them crash out of the group stages. Despite that, he once again came back from injury to witness the Reds win another African Champions League, as well as being one of the star performers in the Egyptian national team side that beat Ghana 2-1 in the second leg of the World Cup qualifying play-off. However, his performance wasn’t good enough as a Rabia-less Pharaohs had succumbed to a 6-1 defeat in the first leg in Kumasi – a game commonly referred to by the Egyptian public as ‘The Ghanaian disgrace’. His performances once again caught the eye of European clubs, this time Hull City manager Steve Bruce showed interest in signing the Egyptian defender. However, Rabia stayed put played a sizable role in his side’s 2013/2014 campaign, ending the season as champions. As previously stated, Rabia has scored important goals in his career, one of them coming late on in the 2013/2014 Egyptian Premier League season. With 22 teams put into two groups, Al Ahly needed a win against Arab Contractors to leapfrog Smouha into first place. The clock was ticking, and Rabia popped up with a moment of brilliance late on in the game to secure the win for Al Ahly; the scoreboard read, 1-0 and the Reds went top of the group. Finally, Rabia got his long-awaited move, this time to Portuguese giants Sporting Lisbon for €750,000 – following the wave of Egyptian youngsters who moved to the Iberian Peninsula. However, unlike other Egyptian talents who went missing, or caused trouble instigating them to depart, Rabia – a regular for the B team – never did like his countrymen, instead sticking with a bit part role at the club. 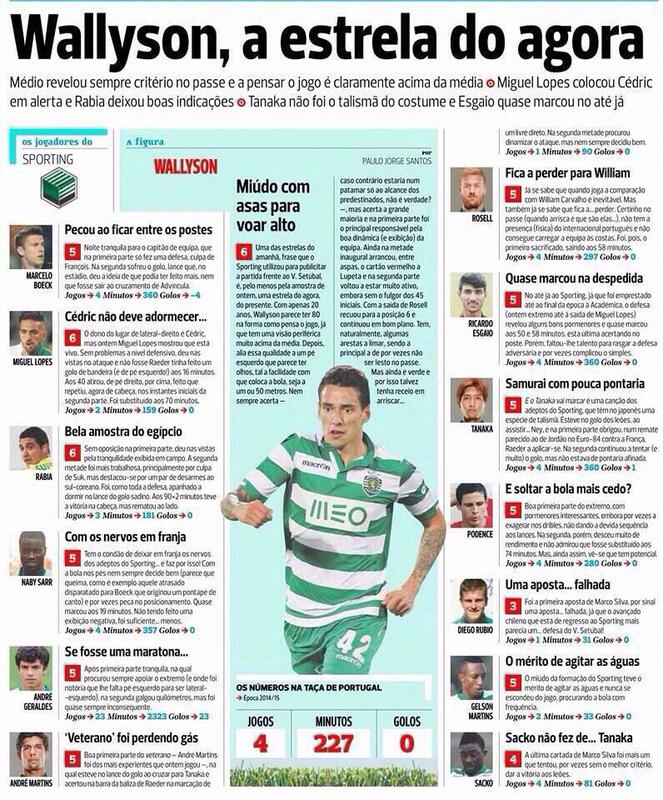 This is in spite of the fact that Rabia joined Sporting on first-team conditions, but now, he plays for the B team despite boasting a very respectable resume. In addition to the fact that the Verde-e-Brancos have shipped in 27 goals this league campaign, the worst of the top four sides in the Primeria Liga, as well as conceding 12 goals in the Champions League group stages, an average of two goals per game, thus denying them progression to the Round of 16. All of that in addition to the fact that the Leoes lost star defender Mauricio in the January transfer market to Roman outfit Lazio. However, the club have restricted the player with a €45 million release clause, a mammoth price tag. Even though it might be argued that the club do not want to lose their players to behemoths of the European game, if the club did not believe in his capabilities, then such a price tag wouldn’t have been inserted. Then the question that remains is: why does he not play? However, the main issue itself is that the Egyptian U-23 national team captain is not the only youngster who has been harshly treated at Sporting. 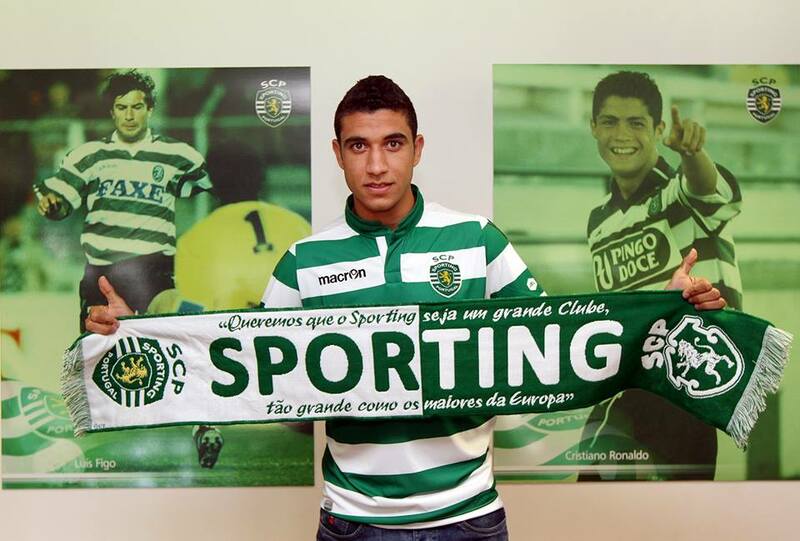 Argentine defender Jonathan Silva who moved to Sporting from Argentine powerhouses Estudiantes in August 2014 for €2.6 million; even though the youngster has played 22 games in all competitions this season, he was frozen out of the side and eventually demoted to the B team before returning to the team sheet on April 19 in the side’s game against Boavista. Rabia being praised for his performances; with the newspaper stating that he defended really well, and gave him few blame for the goal his side conceded towards the end. The genuine question in all this dilemma is: what next for Rami Rabia? 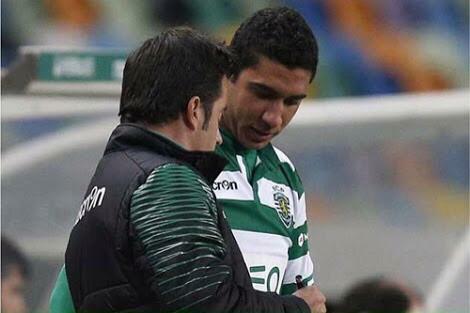 During Rabia’s recovery from an injury sustained early on in his Sporting career, O Jogo stated that he should be in coach Marco Silva’s plans. However, that doesn’t seem to be the case. An adequate question then would be whether Shikabala’s actions somehow affected Rabia’s chances with the first team. If so, then it would be a hasty generalisation by the Portuguese giants. 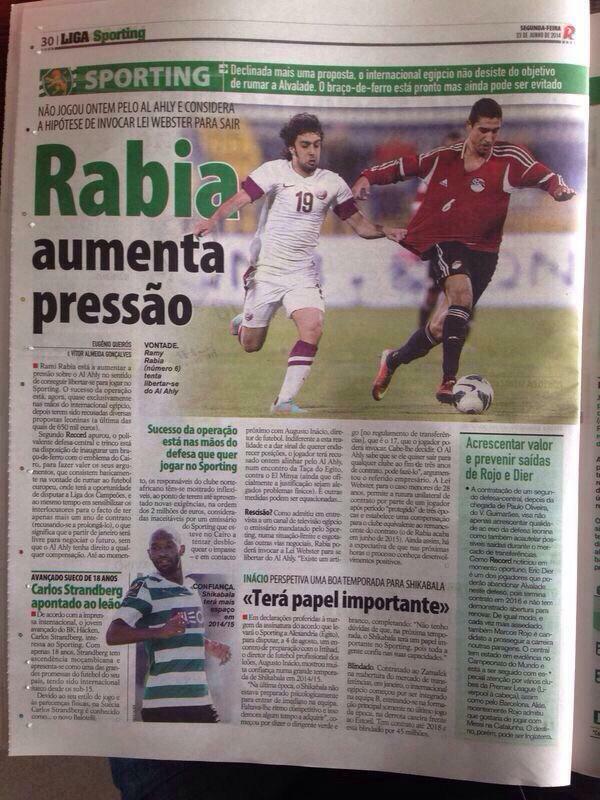 Rabia making headlines in renowned newspaper O Jogo, title reads ‘Rabia wants move’. Rabia is one of Egypt’s brightest young talents, a born leader in the defensive line. A player who burst onto the scene on a cold, breezy night in Cairo, and a mainstay in the backline of Africa’s most successful club for no less than three seasons. All in all, it would be a shame for Sporting to lose out on Rabia, especially with the potential the Egyptian has at his feet.